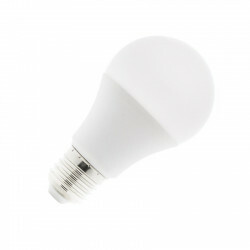 This E14 LED bulb can replace your original halogen bulb and significantly reduce your electricity bill. Operates on 230V. 40W of output for 3W of consumption. This E14 LED bulb can replace your original halogen bulb. 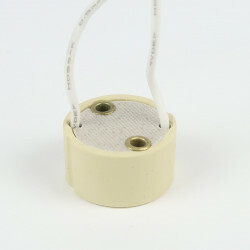 It is most often used in sconces, spots, false ceilings ... The 120° lighting angle allows many applications. 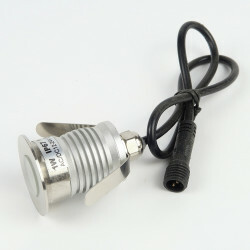 This bulb operates on 230V. 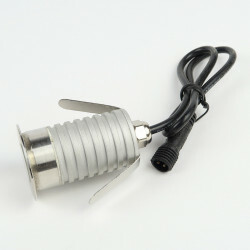 It will replace your original E14 bulb for the same color and power output. This bulb is compatible with a dimmer. It is ecological and respectful of the environment. 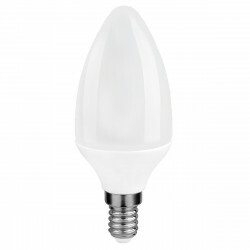 This bulb diffuses 320 Lumens meaning 40W of output and only uses 3W. It will divide by 10 your electrical consumption for an equivalent lighting. Simply reduce your electricity bill! The warm white color will help you create a cozy and nice atmosphere and warm your interior. 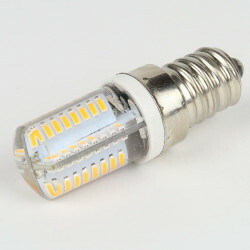 This E14 Warm White LED bulb can replace your original halogen bulb and significantly reduce your electricity bill. Operates on 230V. 30W of output for 3W of consumption. 180° lighting angle. Warm White color, for a nice and cozy atmosphere. Its candle shape gives it a nice design.